It was recently announced that Dean Ambrose and John Cena would face off in a singles match with the winner taking on Seth Rollins at the Hell in a Cell pay-per-view, which takes place on the 26th October. This is a huge step for Dean Ambrose who is still rapidly rising towards main event level stardom. 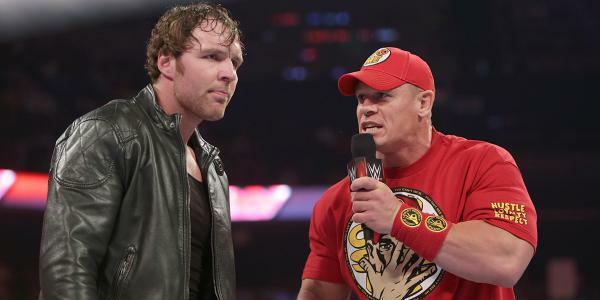 Considering Ambrose’s current standing in the WWE it’s an absolute must that he defeats John Cena. At this point in John Cena’s career the only thing he’s got left to do is beat Ric Flair’s record for the number of World Championship’s won and crossing paths with Dean Ambrose doesn’t help John Cena get any closer to that. (This is a good thing, but not in this case) WWE has a worn out booking tactic that they use exclusively on John Cena, and this is to place him in a storyline with the most over wrestler in an attempt to increase his popularity. The problem with this is that there’s a high enough possibility of WWE derailing Dean Ambrose’s push and focusing the authority storyline solely on John Cena. Despite John Cena’s unwillingness to put rising talent over properly, John Cena must put Dean Ambrose over at Hell in a Cell. 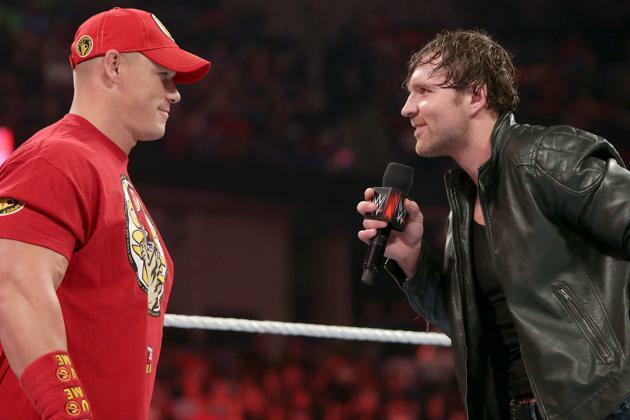 It will go a long towards cementing Dean Ambrose’s status as a future main eventer. At this point, Dean Ambrose is hot property in the WWE and it would be smart to capitalize on that by giving his push a much deserved boost, he’s also shown that he’s someone that the WWE will rely on for years to come. When looking at John Cena, it’s not hard to see that he doesn’t need to be involved in the Dean Ambrose, Seth Rollins feud. If he defeats Dean Ambrose then it pretty much destroys the work that both Ambrose and Rollins have done, it also doesn’t serve any purpose for John Cena to defeat Seth Rollins or face him for that matter. The biggest positive take away from this situation is that WWE has shown faith in Dean Ambrose by making him more of a focal point, the fact that Dean Ambrose showed up to take on Seth Rollins at Night of Champions as a replacement for Roman Reigns showed WWE saw potential in Ambrose. That being said, WWE can act on that potential but having anything other than Dean Ambrose win is unacceptable. Since the breakup of the shield, Dean Ambrose’s stock has risen greatly and his feud with Seth Rollins has been one of the best things about WWE. At this point Dean Ambrose’s feud with Seth Rollins is unresolved and the addition of John Cena has only added an unnecessary swerve. WWE has the chance to correct this at Hell in a Cell by having Dean Ambrose defeat John Cena.